I had technical difficulties with the internet last night and I was not able to post my blog. It’s all fixed now and I’m ready to move on. I was at Whole Foods yesterday and they had an interesting design on the window showing leaves and the wind. They depicted the wind with swirling lines. Of course, my first thought was to try the same type of design with mosaics. I always think it’s a strange thing to try to show wind and water using glass. The glass is hard and rigid where air and water are fluid and constantly moving and changing. I do it because I’m attached to nature and it’s an important subject for me to use in my artwork. I guess it’s also a way to challenge myself – to see if I can think of new ways to get the feelings across that I’m trying to convey. 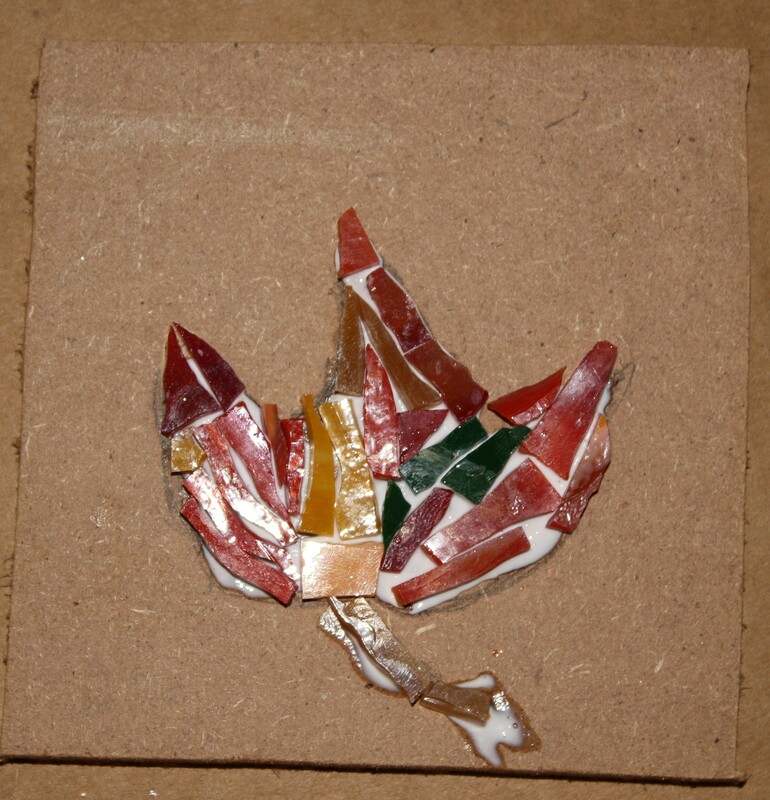 I started with the a colorful autumn leaf. I want you to see just the leaf without the wind blowing it first. 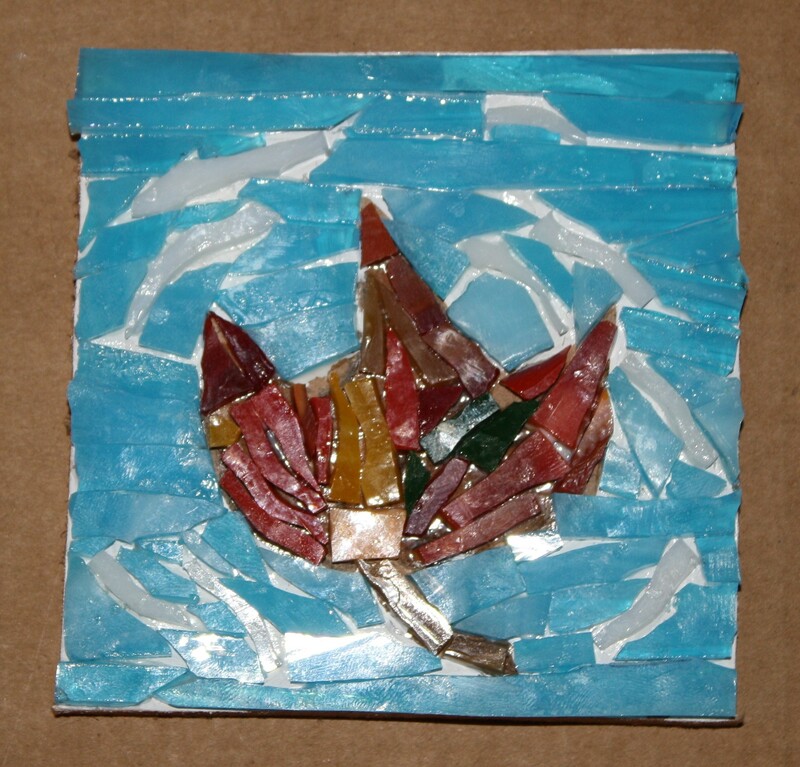 As soon as I added the white glass to the mosaic I could feel the wind blowing. Then, with the blue sky the leaf was airborne. Can you feel it?